The Spring for Success Auction Gala will soon be here as it is planned for May 10, 2019 at Brookfield Country Club! This premier fundraising event is an exciting evening that features cocktails, a gourmet dinner, and silent and live auctions. Invitations have been sent, and tickets are now being sold for 100.00/pp. Contact the rectory @ 688-9380, if you would like to buy a ticket as they tend to sell out quickly. This is one of the biggest fundraisers for our parish and school community and it wouldn’t be so, if we didn’t all come together to make it just that! There are many hands working this event to plan for its success, in addition to the many volunteering that evening to be sure that things run smoothly. We are currently seeking donations for the live and silent auctions of the evening, and we really could use your help by donating or soliciting a gift, or hosting a gift gathering party! We’ve attached the 2019 Auction Item Wish and registry along with the 2019 Donation Agreement Form. 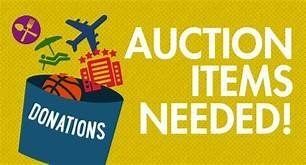 You’ll see that we look for a variety of new items along with special experiences as we collect items for auction bidding! We hope to have all donations in hand by April 24th so we could start cataloging the items for your online viewing! Additional Auction news can be viewed by visiting the Home page of our St. Mary’s website and clicking on the Auction Logo! It’s also here, where you can view our Live Auction properties and buy your $50 Live Auction Chance to win one of these two beautiful properties for your family vacation! We thank you for your support of our St. Mary’s Community and look forward to seeing you there! If you have any questions, please email StMarysSpringForSuccess@gmail.com. Saturday, March 9th, was a night to remember for our parish and school community! The school gym was filled with over 300 people to partake in our First Inaugural Meat Raffle. If you have never attended a meat raffle, you have set absolutely no expectations for what might happen at one and oh boy, did this night make for many laughs! Experienced “meat raffle attendees” knew how to prepare. They had plastic steaks hanging on necklaces, special holders on sticks that they raised in the air that held their dollars, picnic coolers at their feet ready to hold their winnings and carry their meat home, and yes, they remembered their large pile of dollars. 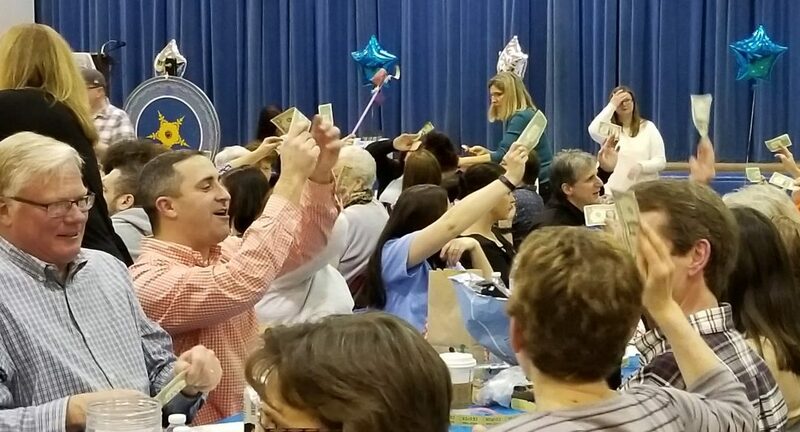 Most raffle rounds were a $1, with the most expensive round being the finale with $5. When they called your number and you found out you won a ham, there was a loud noise, big smiles, and the silly thrill of knowing , that yes, you actually won a ham! Friends and family gathered, bringing homemade snacks from home for their tables to enjoy and share with others. Walking around, tables were full. We saw cheese and crackers, shrimp and cocktail sauce, homemade dips and chips, home made cookies, and so many more tasty treats! St. Mary’s provided keg beer, wine and soda with the ticket purchase and craft beers were sold by the can along with pizza slices . The night proved to be a great fundraiser for St. Mary School and hats off to all who orchestrated this awesome event! Another batch of experienced “meat raffle attendees” has been born and we look forward to upping our game at our next event! This Wednesday, March 6th, is Ash Wednesday, when countless numbers of Christians will gather in churches throughout the world for the imposition of ashes, making visible the sign of the cross for all to see on our foreheads. Lent invites us to recapture a sense of simplicity: to put aside the many things that complicate our lives and focus again on the simple but profound things of God- love, compassion, forgiveness, and justice. The next 40 days calls us to free ourselves of the empty and shallow values that take over our lives and become the people we truly want to be in the eyes of God. 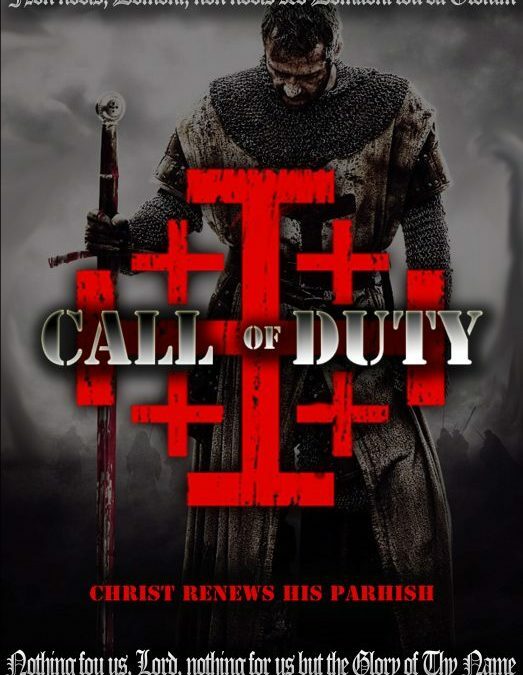 With the Lenten season upon us, there are many opportunities here at St. Mary’s (listed below), to participate in activities that enrich our soul and prepare us for Christ’s Resurrection. 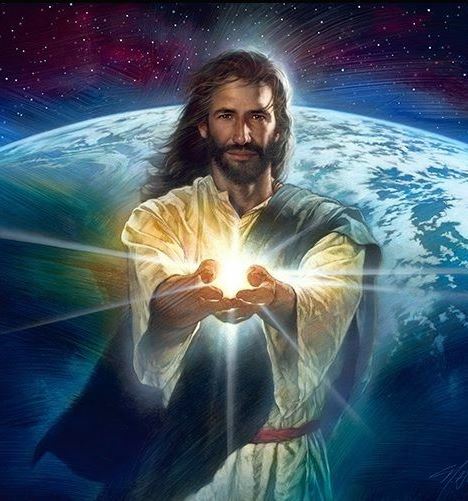 May we have the courage to put aside whatever distracts us from the Lord’s love and grace, to turn away from self- centeredness and fear, and to open up our hearts to the life and peace of the Risen Christ. Lenten Taize Service, April 4th, 7 PM– Meditative service in prayer,readings and songs. 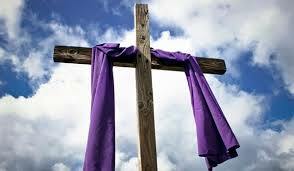 Stations of the Cross: Every Friday during Lent after 9 AM Mass( 9:30 AM) & 7 PM in the church. ABSTINENCE: All Catholics who have reached their 14th birthday are bound to abstain totally from meat on the following days: Ash Wednesday, all Fridays of Lent, and Good Friday. FASTING: All Catholics between their 18th and 59th birthdays are also bound to observe the Law of Fast on the following days: Ash Wednesday and Good Friday. This practice involves limiting oneself to a single full meal and avoiding food between meals.Light sustenance may be taken on two other occasions in the course of the day. EASTER DUTY: After they have been initiated into the Most Holy Eucharist, all the faithful are bound by the obligation of receiving Communion at least once per year. This precept must be fulfilled during the Easter season, unless for a good reason, it is fulfilled at another time during the year. this obligation may be fulfilled between February 18TH ( 1st Sunday of Lent) and May 27th(Trinity Sunday). OTHER FRIDAYS OF THE YEAR: All other Fridays of the year remain as days of penance, in prayerful remembrance of the Passion of Jesus Christ. 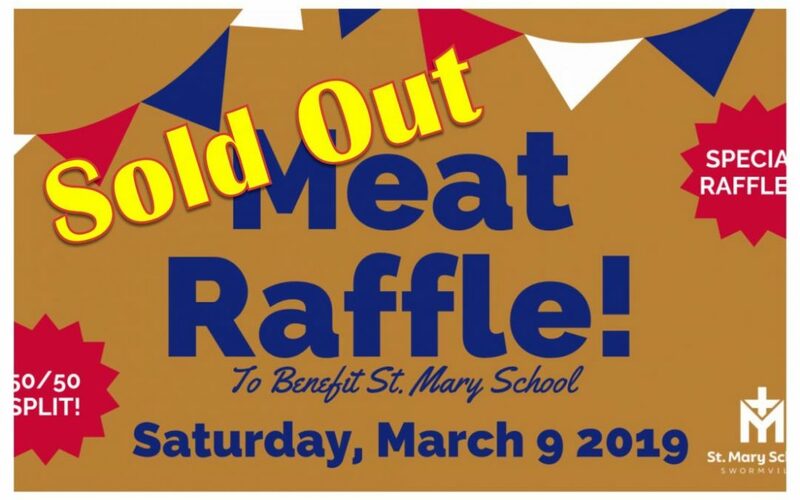 St. Mary’s announces its First Annual Meat Raffle, organized by the St. Mary School Home School Association. This popular style event will feature a variety of meats from Latina Boulevard Foods, raffled off by Mike “The Meat Man” Demmin’s team. This event takes place on Saturday, March 9th from 7:00 p.m. until 10:00 p.m. at the St. Mary School Gymnasium, with doors opening 6:00 pm. The event will include multiple rounds of meat raffles, during which attendees may purchase tickets for any of the meat lots they wish to potentially win. In addition, raffles will be held at the event for a 50/50 split, chest freezer and lottery ticket assortment. Attendees are encouraged to bring cash in the form of singles to expedite raffle sales throughout the course of the evening. Tickets include unlimited soda, draft beer and wine, with craft beer and pizza also available for purchase. Attendees may bring their own snacks. A strict no outside alcohol rule will be enforced and this is an age twenty-one and older event. Proceeds from this fundraiser will benefit St. Mary School, a premier preschool through eighth grade institution. Prior fundraising event proceeds have been used to purchase amenities and upgrades for the school such as water fountains, air conditioning, technology items and a scoreboard, providing an enriched experience for students. Tickets are $7.00 each via Pre-Sale and $8.00 each purchased at the door. Tables of eight may also be purchased in advance for $50.00. For Pre-Sale reservations, contact Jen 716-392-5553 at or Judy at judithdehn@gmail.com. A limited number of tickets will be sold and Pre-Sale reservations are strongly encouraged.